Whether you're rappelling down caves, riding roller coasters, or doing other types of field research, automatically collect data on iPad and iPhone with the new sensor support feature. Take your business to the next level by collecting sensor data from your iOS device direclty in your app, anytime, anywhere. Mobile apps can capture information from iOS sensors in your iPad or iPhone device including location, air pressure, accelerometer, magnetometer, gyroscope, barometer, and battery level. 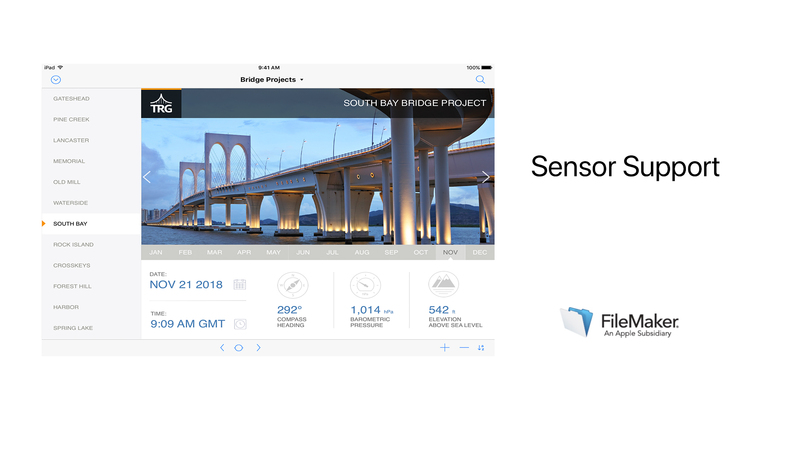 Use this function to capture information provided by sensors for an iOS device running FileMaker Go.